"Where shall we see a better daughter, a kinder sister, or a truer friend?" 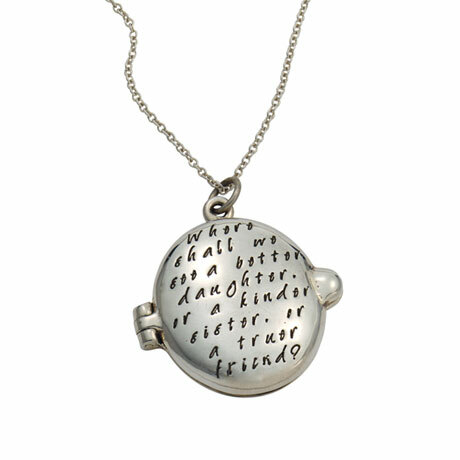 Words from Jane Austen's "Emma" are engraved on the front of a classic oval locket. Austen's name is engraved on the back. A gift for a girl or woman you love and admire, sterling locket is ¾" x 7/8". 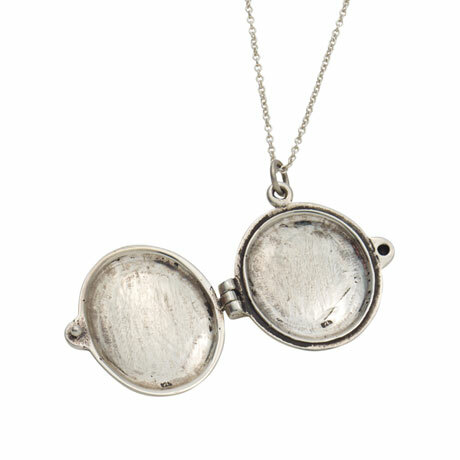 Arrives on a sterling chain that adjusts 16-18".